Religious field is flourishing today due to the vast scope of earning fame and power. Scandals and Babas sail together. But the institutions survive due to political patronage enjoyed by the community as a whole. None bothers if the stated objectives of these institutions are flouted as people are just pigmies. The usual ‘’miracles” performed by these Babas to allure masses are ‘producing’ scented ash (vibhuti), wrist watches, gold rings, faith healing and selling sacred stones etc. The well-known skeptics, B Premanand, and Narendra Nayak, have for last 30 to 50 years been exposing their tricks and the skeletons lying hidden inside their cupboards. The former had toured extensively in India and abroad, advising people not to get cheated by Babas. He brought out many books, CDs and Videos spreading Scientific Temper and Skepticism. 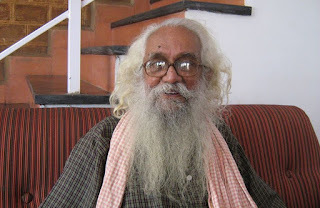 Professor Narendra Nayak is now heading the Federation of Indian Rationalist Associations. Both had thrown open challenges offering one lakh Indian Rupees to anyone who could perform any miraculous feats. But have found no takers. Prof Nayak’s challenge is still open. Thus all the seers and Babas preaching on faith walk on clay foot. . There is another class: Gurus and Matajis who deal with only top CEOs, company bosses, foreigners, government officials and Country Heads. Elegantly attired Guru walks out at steady pace to the dais of Ashram set in extreme luxurious style. The back ground is enough to hypnotize any business tycoon. After all, he is just a commoner, least heard of spiritual salvation etc. He needed a Stock Exchange to convert his shady assets into white, cleanse his soul for once and gain respectability. One more version of yoga, yet another variant of a breathing practice, meditation and stress relief techniques are enough to fool them. A recent trend is the rise in number and status of Indians abroad and the consequent increase in the number of temples and religious platforms. Affluence of the younger community and nostalgia (opportunity for gathering with Indians or outing for weekend) are the two factors responsible for this. Religious awareness spread here is braided with modernism befitting the sophisticated elite class, thus lacking depth and seriousness. No contribution towards analyzing the trend or deriving a meaningful interpretation of religion is possible from these entities. Thus, in the ultimate, God and faith are the most exploited aspects in today’s life world over. If He really ruled, He would have been the most detested One. Stripped of commerce, the entire Institution of Faith would crumble to pieces. Faith today is not a free standing pillar, but is propped up by commerce. The end result is the fundamentalism and the religious strife now prevailing all around in the World. A common question frequently asked is why this concern about Divinity? Why not work for human reformation directly? The fact is that the term Faith ‘exists’ in life of man as dog in the monger. Priestly community still demands of its disorganized followers to stick to rituals and customs. The educated youth is too engrossed in accumulation of wealth to seek solution to this largest evil. Instead, to atone for their sins, they would donate liberally to any cause of religion and wash hands off. But transformation of man is feasible only when every man thinks. Not when a few think for all with their concept of betterment of society or self as the case may be. Each brain has infinite capacity if the self-imposed veil of conditioning is shed off. Thus the first task of one is to transform oneself by deep introspection - then seek that of others, not by confrontation, but by showing with self practice and pursuance. Transformation of society starts from oneself. In effect, Faith, now focused towards Divinity, should get re-focused as concern towards all animate and inanimate beings in Eco system. The task is to change common man’s outlook, rather than expect rescue operation at every crisis of one’s life. A holistic approach to problems of society helps; that is, if one sees ‘Brahman’ in everything around us and develops universal compassion. There are near to ideal examples around us showing that this is not an Utopian idea. One begins by asking oneself: “Do I get pricked by the violence in Kashmir, the Naxalite movement, worldwide terrorism, exploitation by powerful, deaths due to poverty, abnormal rise of disharmony within family life and the dragon of corruption and superstition embracing all walks of life?”’. One dispassionately looking around sees that the Truth, in reality, lies not in Heaven, is not an alien concept, but is in the Earth around us amidst the joys and sorrows of life. Eco system is the greatest inheritance to us, which we are bound to preserve and deliver intact to next generations. 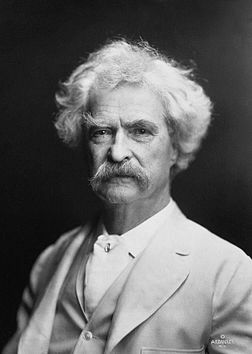 If one still has reservations on implementation, listen to Mark Twain: “Let us so live that when we die, even the undertaker will be sorry”. Some one else said: “Imagine your own funeral, and you will realize what kind of impact you have created on those around you”. An easier solution, if one opts to get liked by everyone around, it is not a very tall order for the neo-rich of today - Just adapt 4 slums. But in the process, he would have created an army of beggars for perpetuity. Hence one can leave sustaining impression (his consciousness) on Earth only by working for permanent solutions to problems of mankind, by raising others’ confidence level. This brooks no compromises or half measures, each of which can puncture it easily. Thus caution against distraction of energy is important. The best dictum “From cradle onwards, interfere the least in the physical actions of a child. NEVER dictate in psychic field. Encourage in it, at all ages, the faculty of self discovery and decision making befitting its age. Never pamper. Thus brought up, a child grows as a useful citizen of Earth” .Here again we have the poser from Swami Vivekananda to society: “Give me hundred people committed (as me) towards mankind and I will transform the whole World”. From his achievements, we see that his was not a hypothetical notion. Now consider implementing immediately a few simple actions for which you need take permission from nobody. Re-script your Faith as concern towards all species on earth. Always keep pondering what lasting help you can render to the needy rather than expecting from others. Have a holistic approach in all your dealings. Never expect or owe anything of others. If one is mentally of this frame, physical field will take care of itself, exceptions not withstanding. Live sincerely, always inquiring before every action, using your best judgment, least annoying others in process. Pre declare donating your vital organs to worthwhile causes after death. In the will, advice against any religious rituals, which are all waste. Those who remember you will anyway assemble on their own. One need not worry the least of the post death scenario except from the angle of his pending responsibility to others. Inspiration: Teachings of J Krishnamurthy.